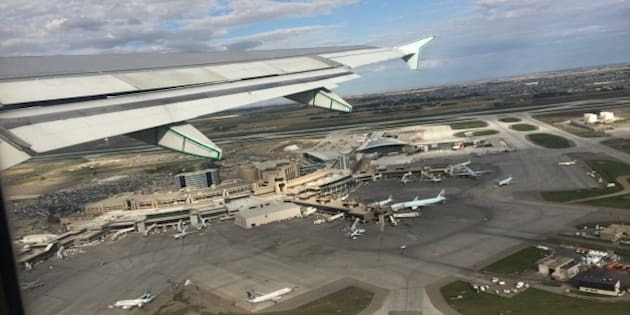 Two petitions are lobbying for the Calgary International Airport to be renamed in honour of outgoing Prime Minister Stephen Harper. The campaigns have spawned several other efforts against the idea, including alternative suggestions to name the terminal after former Alberta premier Ralph Klein or even Calgary's current mayor Naheed Nenshi. While the Calgary airport said decisions on name changes rest with the federal government, it's still fun to consider which Albertans other than Harper might be worthy of the honour. Many have called Peter Lougheed Canada's best premier. He grew the Conservative party from an entity without a single seat into a decades-long political dynasty. Armed with a long-term plan for Albertans, Lougheed established the Alberta Heritage Fund and the Alberta Heritage Foundation for Medical Research. He contributed to numerous philanthropic causes, which led to countless honours and awards. Former senator Thelma Chalifoux was the first Métis woman to receive the National Aboriginal Achievement Award. A former teacher, she raised her six children as a single mother. At one of her first jobs, she noticed a pay disparity between herself and her male colleagues at a paint store, inspiring her lifelong resolve to stand up for women's rights. She has become a tireless advocate for the rights of aboriginal people. "If you see discrimination, if you don't act, you fail,” Chalifoux told the St. Albert Gazette. An illiterate slave in the southern U.S., John Ware became one of the most skilled and respected ranchers in Western Canada. If it weren't for Ware and others like him that helped build Alberta's ranching industry, the province's beef might not be so legendary today. One anecdote about Ware says that he was taking his future wife and her family for a wagon ride when a terrible storm picked up. Both horses were struck by lightning and killed. According to the tale, Ware picked up the reins and dragged the wagon back to the farm by himself. Nicknamed "the China Clipper," Norman Kwong won four Grey Cups over his football career with the Calgary Stampeders and Edmonton Eskimos. He was also a co-owner of the Calgary Flames in 1989, making him one of the only people to have his name on both the Grey Cup and the Stanley Cup. Alberta's former lieutenant-governor is a recipient of the Order of Canada, and an outspoken advocate of multiculturalism. Mona and Agnes Harrigan might be the least well-known names on this list, but their trailblazing spirit perfectly represents Alberta. The two sisters were lifelong explorers, who became the first female guides in Canada's National Parks. The two not only led tours of Jasper National Park in the 1920s and '30s, but also wrangled and saddled the horses, and cooked and cleaned for their clients since men refused to work with them on the trails. Who better to name an airport after than someone who has pushed the boundaries of human flight? Robert Thirsk is a former astronaut with the Canadian Space Agency, as well as an engineer and physician. Thirsk described space flight to the Calgary Herald as "magic."